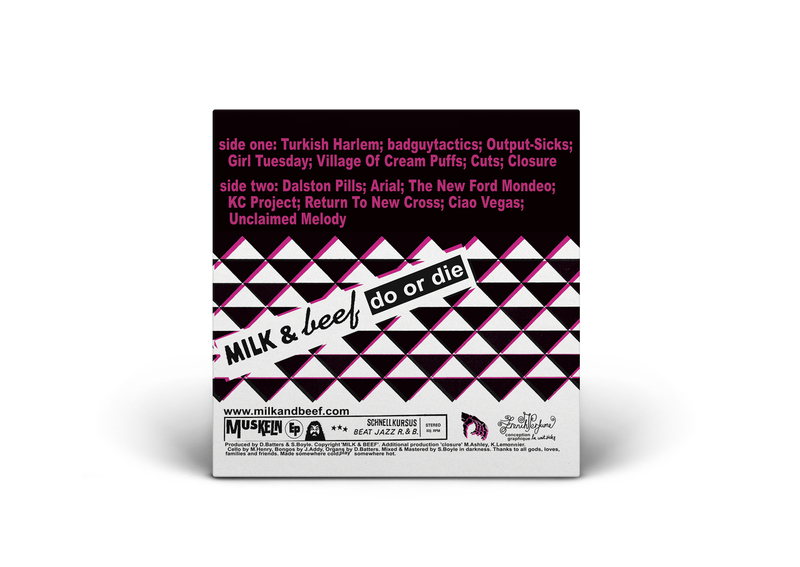 Salvaged artefact - Milk & Beef: Do or Die (Resurrection) - Bladud Flies! Not wishing to dwell on this distressing and acrimonious situation, we decided to go ahead anyway, individually screen-printed a new sleeve design for the 50 copies still in our possession, and releasing them as a now very limited one off edition: Do or Die (Resurrection). 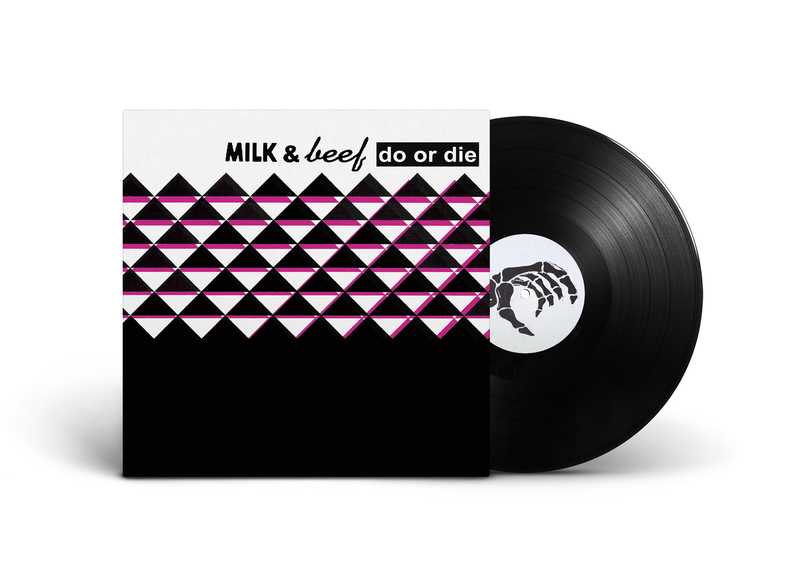 Vinyl purchasers will also receive a free download of a digital version re-mastered by The Bricoleur and featuring 2 bonus tracks, Louise and VW.